The railway museum is situated in the centre of Losheim on the former Merzig-Büschfeld railway premises. 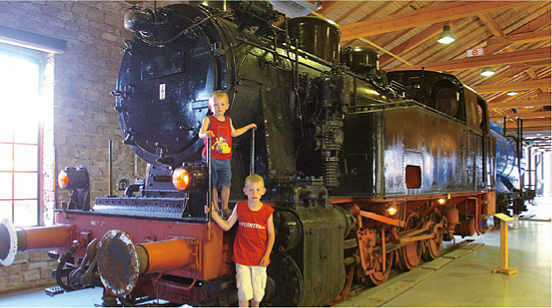 It is part of the Losheim am See Adventure Railway, which also includes the Railway-Hall Cultural Centre and Losheim Museum Railway. You can see from the Museum Railway timetable which days the historical steam engines and carriages– dating from 1903 to 1929 – are operating on the Hochwald railway line. Attention: The railway museum is only opened on driving days of the museum railway!